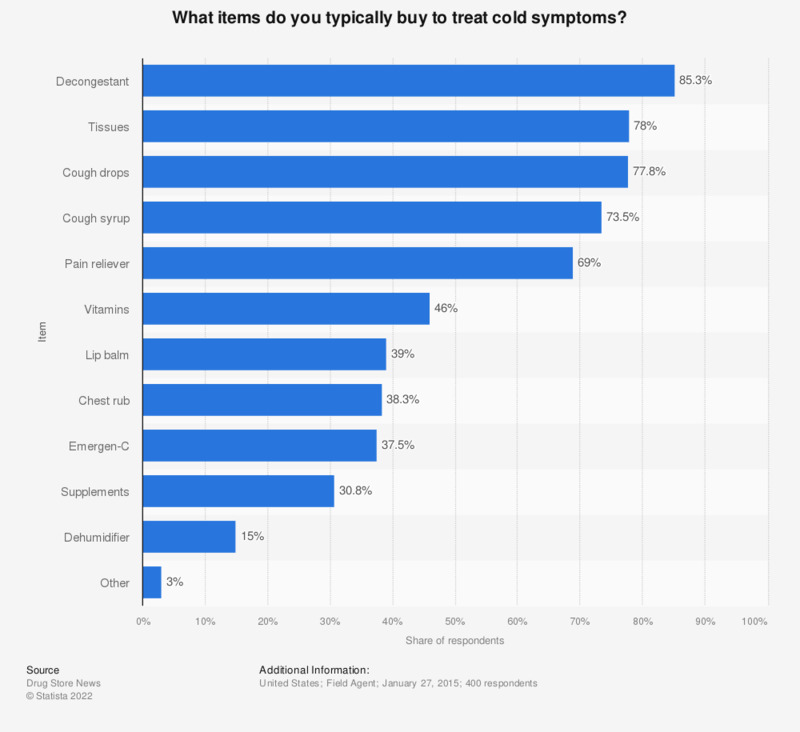 The statistic shows various items purchased by U.S. consumers to treat cold symptoms in 2015. The survey revealed that 78 percent of respondents would buy tissues in order to treat a cold. Which of the following do you do to stay healthy during cough, cold and flu season? Which type of products do you stock up on at the beginning of the season? Would you prefer to have more time or more money?